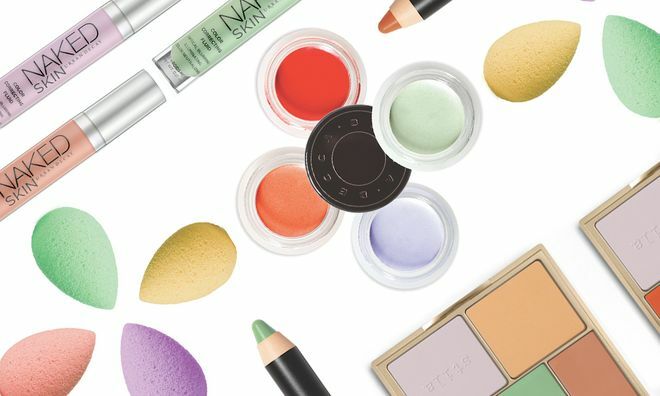 While color correcting (applying different hues on the skin to cancel out problem areas) has grown in popularity, the concept of applying colors like green, orange and purple all over our faces may seem daunting to some. 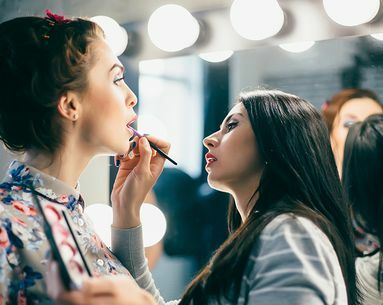 However, according to celebrity makeup artist Tasha Brown, while it may seem complicated, the science behind color correcting is pretty straightforward, explaining that the two colors on opposite sides of the color wheel neutralize each other when they are mixed, layered or blended together (like how green reduces redness in the skin). But, while the concept is easy to understand, the application of these colors is crucial to nail down. 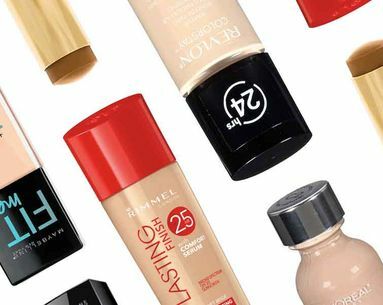 With the exception of color correctors that address under-eye bags and blemishes, Brown explains that color correctors should be applied before you begin your makeup application. 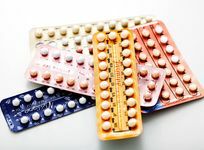 "Once you've canceled out your issue, you may not need as much coverage as you think." 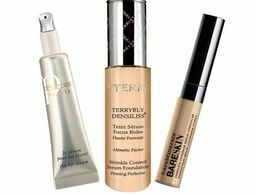 She adds that correctors for blemishes and under-eyes should be applied after foundation so that you can apply them precisely without product smudging away during foundation application. Not sure what color you need to correct your issue? 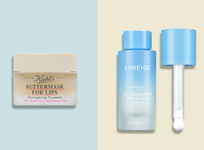 Scroll down to find your skin's quick-fix. 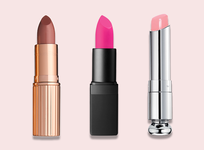 "Pinks work wonders for brightening up dull skin," explains Brown, adding that most eye primers that promise a brightening effect for tired skin sport pink hues. For an all-over wake up, look for pink color-correcting primers like Yves Saint Laurent Forever Light Creator CC Primer in Rose ($45) that not only impart a glow to tired skin, but also work to actually improve skin's tone and texture. For on-the-go brightening or precise application, reach for Urban Decay Naked Skin Color Correcting Fluid in Pink ($28), an easy-to-use corrector with ingredients like vitamins E and C to nourish and protect skin from future discoloration. Try applying a pink shade to your brow bones and inner corners of your eyes for an instant pick-me-up. Yellow hues are your go-tos for canceling out hyperpigmentation, purple tones and all-over mild redness in your skin. 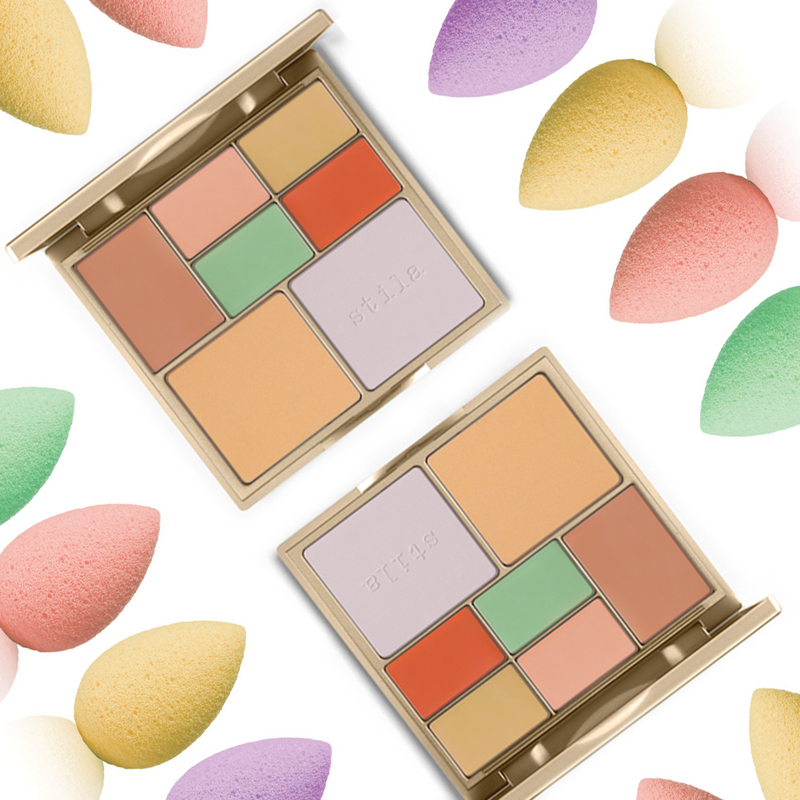 To neutralize a spotty complexion, look for a multi-functioning palette like Stila Correct & Perfect All-in-One Color Correcting Palette ($45) that features a yellow cream to neutralize and cancel out dark spots and a yellow powder to set any corrections made and even out skin tone. When using a color-correcting palette like this one, it's best to use color-coded sponges like beautyblender micro.mini correct.four ($30), which are made for smaller areas where we commonly color correct like the under-eyes and sides of the nose, to keep colors from blending together and hindering their performance. For dark circles, Brown suggests using peach shades, explaining that these hues counteract the grey-blue tones in dark under-eye circles. "The deeper the skin tone, the darker the peach should be," Brown explains, adding that light skin tones should look to peach colors such as Lancôme Miracle CC Cushion Color Correcting Primer in Pinky Peach ($39.50), which is infused with pine extract and glycerin to literally correct uneven skintone while camouflaging it. 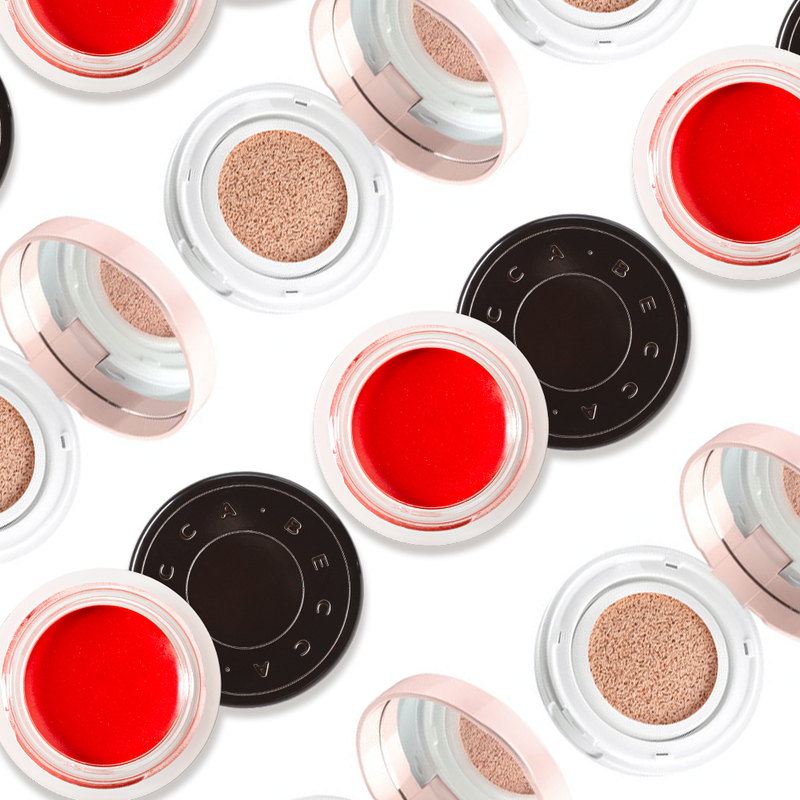 Darker skin tones work best with orange shades, like Becca Backlight Targeted Colour Corrector in Papaya ($30), which features light-reflecting pearls to blur the look of imperfections and hide any circles, spots or scars. Purple tones are best for imparting a fresh, illuminated glow to otherwise lackluster skin. 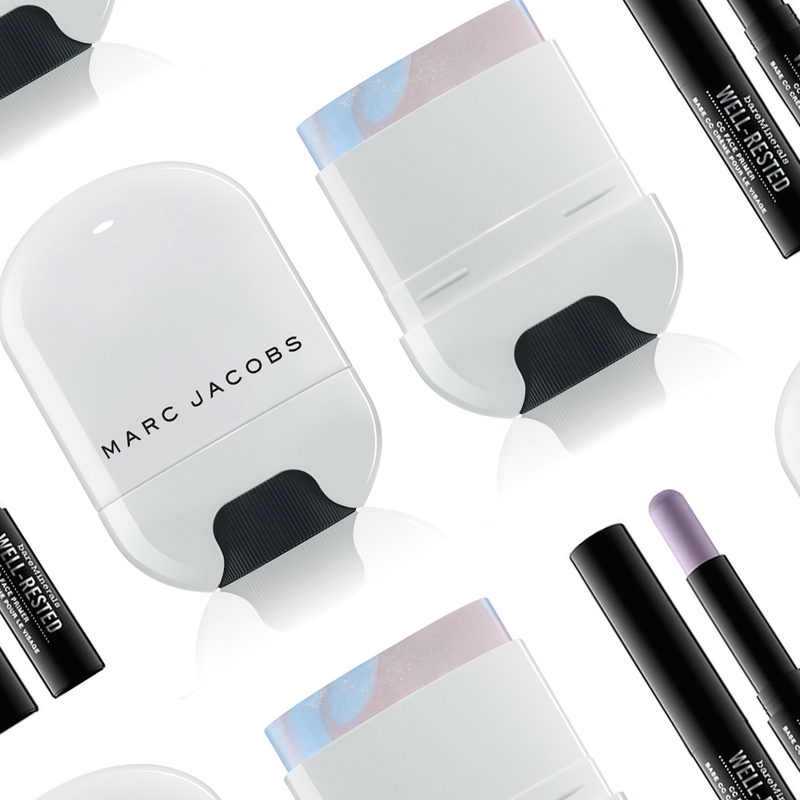 Products like Marc Jacobs Cover(t) Stick Color Corrector in 310 Bright Now ($42) use shades of lilac and pink to combat any dullness and leave a velvety-smooth finish on the skin, virtually eliminating the appearance of any unsightly pores or blemishes before you even reach for your foundation. For a more targeted approach to dull spots, bareMinerals Well-Rested CC Face Primer in Lavender ($20) boasts caffeine and aloe as some of its main ingredients that work overtime to soothe discoloration and protect skin from harsh environments. Aside from specific dull areas, apply lavender shades to the center of your forehead (in an upside down triangle shape), on your chin and all the way down your nose to brighten sallowness. 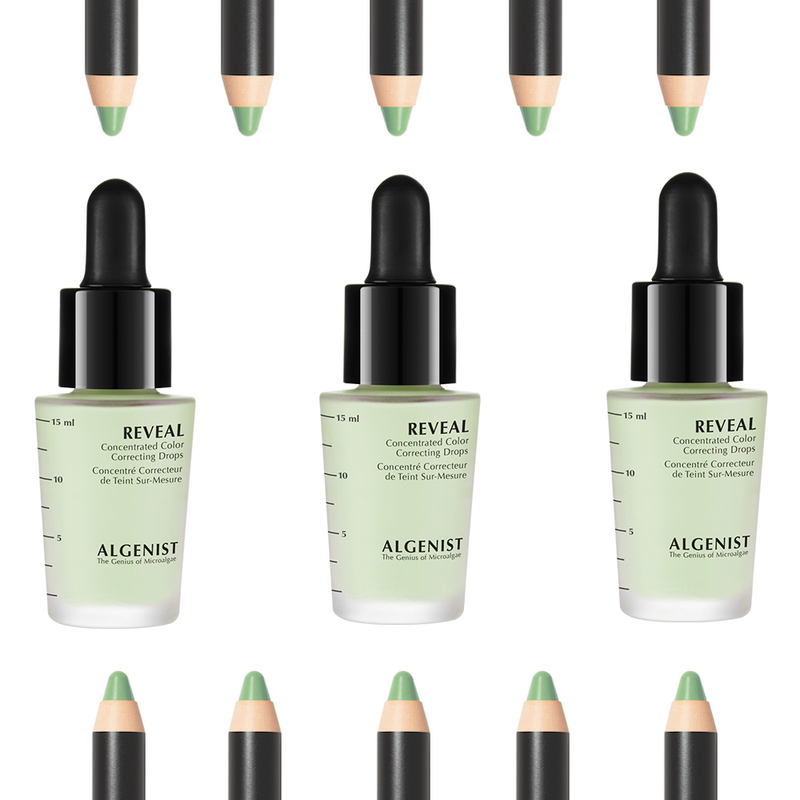 Brown says that green color correctors are the best ones to cancel out redness in the skin. 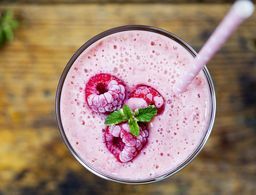 To even out large areas of redness and rosacea, Brown suggests adding a few drops of a liquid color corrector, like Algenist Concentrated Color Correcting Drops ($38), into your moisturizer so it evenly spreads all over. To treat concentrated areas of redness, like around the nose and lips, or in between eyebrows, use a color corrector like Smashbox Color Correcting Stick in "Get Less Red" ($23) that allows a precise application and easy blending. 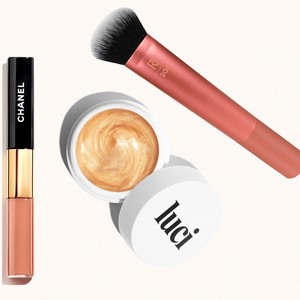 The ultimate tips for taking your makeup game up a notch.